It's the Bloggers' Quilt Festival and I'm thrilled to have an excuse to show this quilt off again since it's one of my favorites. Flock! This was the product of my first monthly block drive for Covered in Love. 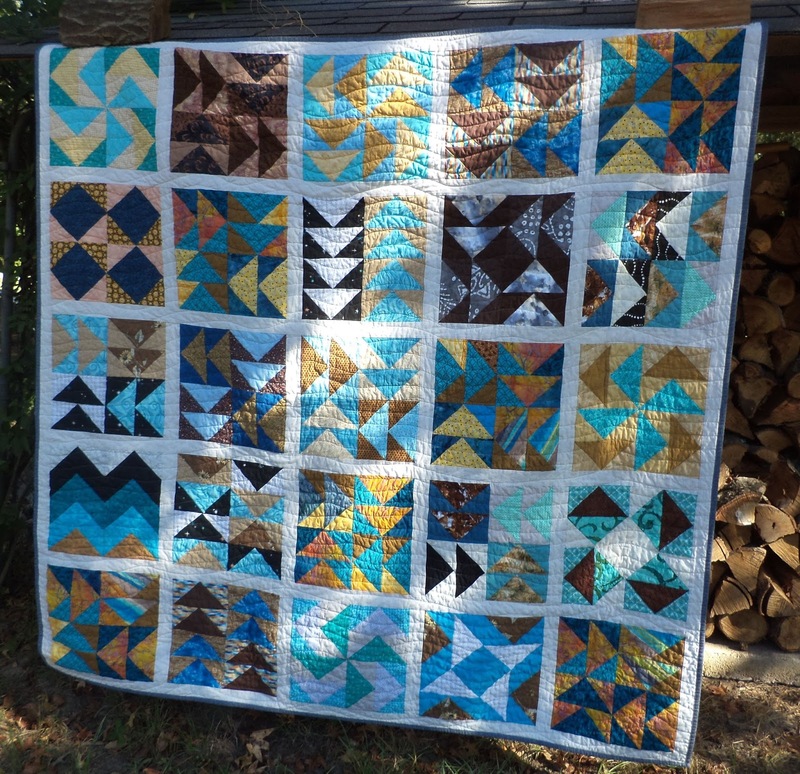 I asked for volunteers to make 12" flying geese blocks within a certain color scheme and this was the lovely result. I quilted Flock with wavy lines using my FMQ foot. Thank you to everyone who continues to support Covered in Love. If you would like to get involved you can find details on the main page or check out the latest monthly block drive here. 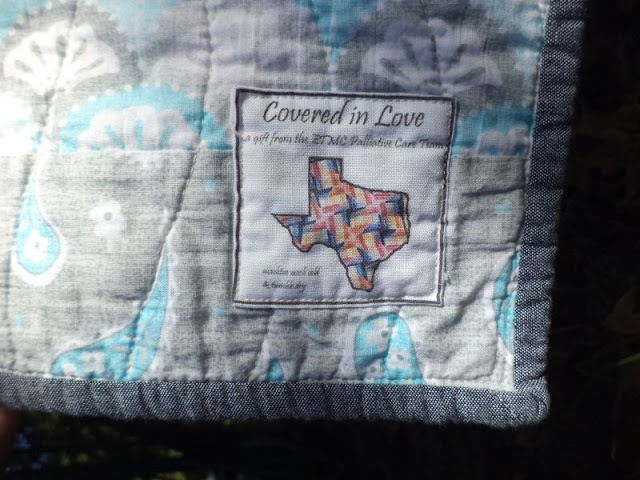 I'm entering this quilt in the Large Quilt category in the festival. 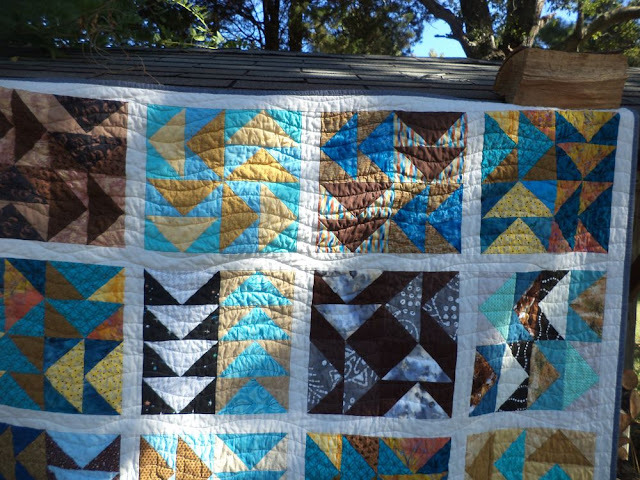 You can see my other entry into the scrappy quilt category here. Oh I love it, its gorgeous! Love the blues and browns in the flying geese pattern! Kat, this turned out gorgeous! I'm not sure how many people contributed but I would have never guessed that the blocks were all made by different people. All of the colors go together so well. Great job. It is wonderful to see how fun and different each block is! 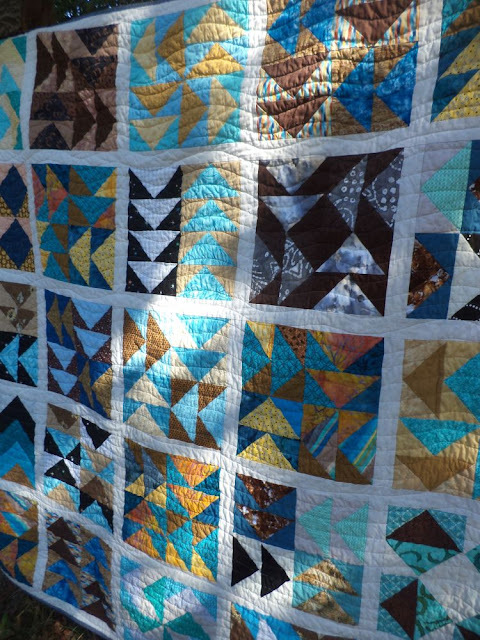 It certainly makes for an interesting and beautiful quilt! The colors and quilting are wonderful! Wonderful quilt and what a great cause, I applaud your charitably. I too love scrappy and a modern twist on tradition. Glad that you linked up to the festival.